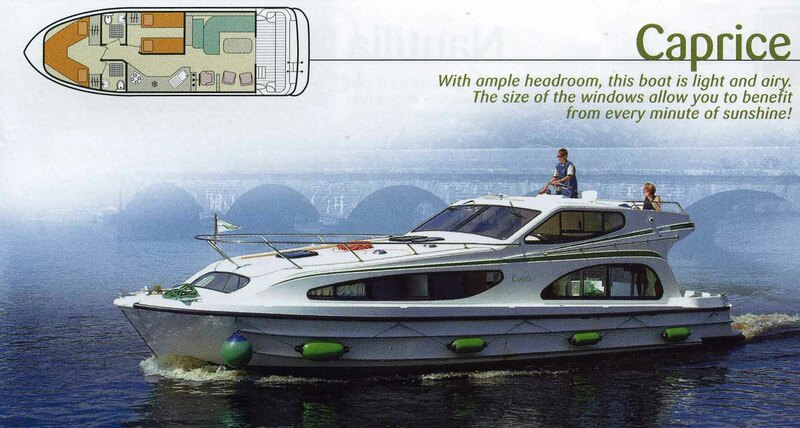 The Caprice is a modern design, with a light and airy interior, ample headroom and features normally associated with larger boats. The 2 en-suite cabins are located towards the front of the boat, leaving the rear of the boat open for relaxing! The glass sliding doors in the sitting area lead out onto the aft deck of the boat, and steps up to the fly-bridge (open upper deck) and the secondary steering position. This boat is great for friends or families who are looking for a thoroughly modern cruiser.